I met Thanassis recently at SciArt's Bridge residency where we were paired to produce a scifi project involving nuclear astrophysics and a dome projection. To better define our collaboration and inspire ideas I conducted a thorough interview with Thanassis. We spoke about many interesting aspects of his current research and compared similarities in our interests, essential for future collaboration. I enjoy Thanassis' philosophical approach to fundamental research and the way how he positions his research concerning philosophy and historical influences of the evolution of scientific worldview. T: Yes there is the whole thing about alternative universes or multiverse which is very controversial in our field. It is almost split opinion. Half of the scientists believe in it, and the other half does not. is part of the TRIUMF, Canada's national laboratory for particle and nuclear physics and accelerator-based science. Dragon is the facility where Thanassis conducts his experiments. T: It was a brilliant phrase that had a substantial impact. Our bodies are made of elements that come from the stars, as I mentioned previously. Except for hydrogen. But hydrogen is, in a way more exciting because it was created three minutes after the Big Bang. We have stuff which is almost 14 billion years old and some other stuff that was created just a few billion years ago inside a massive red star. All of that is right now inside of you. T: If you consider the initial mass of the star, we know exactly how it will evolve and how much of each element it will produce. Things get interesting if you bring another star to the party. For example, a combination of a star like our sun and a white dwarf. In such case, the white dwarf has a powerful gravitational field, and it will start pulling material from the other star. At some point, after a limit is reached, there will be an explosion. It is called a classical nova. This happens quite frequently, almost ten per year in our galaxy. In case there is a combination of a sun-like star and a neutron star, we have the so-called x-ray bursts. Different stars create various elements. T: During the last fifteen years our area has started to accelerate. Right now, we are in an era where we are building new laboratories that can produce even more exotic nuclei than the ones we have right now. In five to ten years the construction of these giant laboratories will be finished, and we will have much more access to this exotic matter. T: A cyclotron accelerates charged particles in a spiral orbit. Magnets accelerate an ion from a small radius by incrementally changing the magnetic field and expanding the orbit. With each increment, the energy of the particle grows until it reaches the particular level needed for the experiment. The CERN is a synchrotron, which is a different instrument. You don’t have a spiral movement, just a circular orbit. CERN does not only have the large hadron collider, but this machine is also connected to smaller ones that accelerate the proton before it enters the large chamber. It can reach vast amounts of energy, eight Teraelectron-volts or so. This is almost six orders of magnitude higher (1 million) compared with what we need for our experiments. 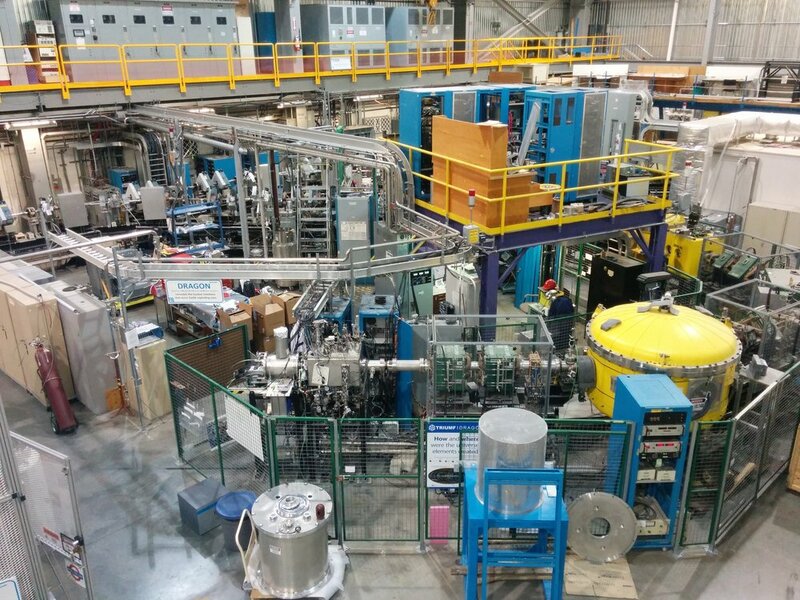 The most anticipated instrument is being built right now in Michigan and is called Facility for Rare Isotope Beams (FRIB). It will be finished in a few years. Also, some of the older labs are currently upgrading. T: That is the fun of it. You are expecting something new, but you do not know what it will be! For example, oddly, I would be happier if the Higgs boson wouldn’t be discovered. In that case, scientists would have to develop new theories. The standard model is cool but finding the unexpected is always more fun. There are some issues with the standard model. For example, according to the theory, neutrinos do not have mass, but it was discovered that they actually do have a minimal mass. So there is something beyond the standard model, but that is an entirely different area of research. I am not involved in that, but I know it is pretty exciting. T: Once I made a planetarium show about the science of Star Wars. The show was divided into six chapters with six different sections of physics. There was exoplanets, aliens, robots and AI, space battles and light speed, the science of the Death Star, the concept of the Force and lightsabers. T: Science fiction is a way for art to get science to the public. You might not know about nuclear physics or astrophysics, but you have watched Star Wars and Star Trek, and you think it is cool! One of the reasons I went into the science was that I was a huge fan of Star Wars and Carl Sagan. By doing something that is science fiction is an excellent way to get the message through and get people involved in what we do. My research is not really connected to the society. You will not use my research to create something that will make your life easier. It’s not like nuclear energy for example. However, this fundamental research is more important because it answers some questions about the origin of the universe and humans. It is more about profound questions that elevate your spirit. That is something we really need in this era. We are so consumed in the mechanistic way of thinking. We are very much into machines and how they work, and we have to be very exact. We should also think more abstract than that, to connect more with the universe. Right now we are not. The whole society is very individualistic and disconnected. T: We know that the heavy elements, meaning heavier than iron, are mostly synthesized in supernovae explosions. They determine the end of life of a star. For example gold. Carbon can be produced in many stars, including our Sun or more massive stars. Sun is fusing hydrogen into helium for another five billion years. After that, it will become a massive ball of helium, and its core will subtract because of gravity and then it will start to burn helium. Then helium will be burned into carbon. The sun at that time will become a red giant. The core will be very dense and small, but the atmosphere will keep expanding until it reaches very close to our planet. Some simulations suggest that it will even cover the earth. T: The best choice, in my opinion, would be first to investigate the massive stars. There is a theory that the beginning of our solar system was caused by a nearby supernova explosion. This explosion made our interstellar medium to collapse into a protostar which later became our sun, and the other stuff, that surrounded the sun became our solar system. T: It is an “embryo” star. It is not a real "hot star." Instead, it is a very dense cloud, mostly hydrogen. A protostar compresses because of gravity and heats up. When it reaches a critical temperature, around fifteen million degrees, hydrogen starts to fuse into helium. The beginning of nuclear fusion is the year zero, the birth of the star. T: The official argument against the solar energy is that it is costly and we do not get much out of it yet. In the end, we end up paying more than we get so we use fossil fuels which are cheaper. Unfortunately, they are not sustainable, because they are finite, and after we run out of them, our whole civilization is screwed, together with our environment. T: Not even that. We should just quiet our minds, and everything will make sense. We live in a world where we are buzzed continuously with everything around us, daily tasks, money, and we don’t just sit down, relax and think about ourselves, what we are doing, why we are here, and so on. The whole socioeconomic system we have is wrong. It’s one hundred percent bad for humans and nature. I think people just need to be connected to nature and the universe. After we relax our minds, everything else will make sense, and we will see the connection with the world. 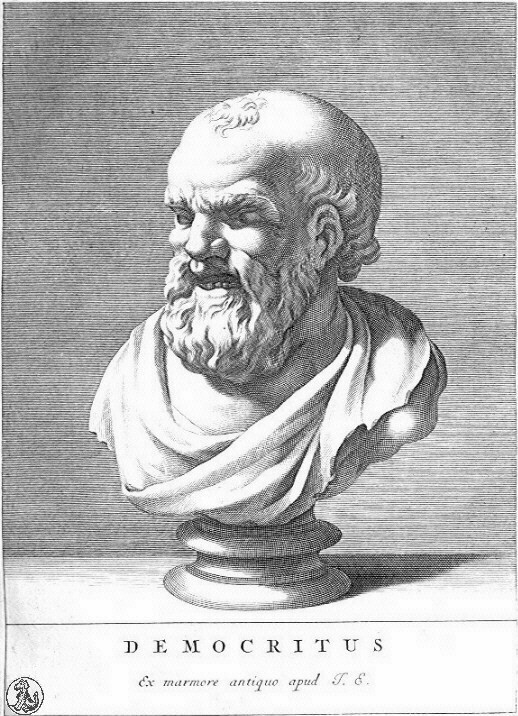 c. 460 – c. 370 BC, ancient Greek philosopher of the pre-Socratic era. Together with his mentor Leucippus the atomic theory of the universe.